Life Is Unpredictable, When It’s Amazing Don’t Forget To Enjoy It! As a musician, and I think I speak for everyone else on the planet too, when I say when life is going your way embrace it heartily. Sometimes you can get caught up in self induced stress and frozen in a lake of negativity, that you don’t capitalize on what you’ve actually achieved. Glastonbury Friday night saw the return to the festival of a band that defined a generation, whose music is unique and who rescue cats from trees. Ok the last description isn’t true, but from the great acclaim I read about The Libertines yesterday, this certainly shouldn’t sound too much out of place! This is a band that have had their fair share of highs and lows in the past 12 years with them incredibly parting ways in 2004 before their recent reunion. I think this rekindling of the libertine-mania is an example of really basking in the glory of current success as well as hopefully being prepared for what is ahead. I am guilty of not always appreciating positive things and letting pessimism creep in, but life is unpredictable, there is no denying it. That’s why just go with it and enjoy the calm waters before any rapids. Theatre and Production Companies that are making an impact on London right now! From watching a large amount of theatre,when a production excites, it is important to spread the word, thus giving the creatives maximum exposure. There is a vast number of theatre and production companies, that are creating outstanding productions every single day. This list will include companies that have recently being making waves with innovative productions of classics, as well as contemporary plays. Scena Mundi the resident theatre company of St Bartholomew the great , West Smithfield, have recently performed two alternating plays Marlowe’s Edward II and Shakespeare’s Richard II to overwhelming critical acclaim. Jason Lawson and Oliver Joel have launched a new production company “to produce exciting, engaging theatre.” Fresh from their skilfull revival of Simon Block’s play Not A Game For Boys at King’s Head Theatre, Islington, (which also started Oliver Joel in an impressive performance), this is a production company who hold a great deal of promise for the future. Mixing music and drama to create productions of the highest calibre, Bristol founded Fellswoop Theatre finished a national tour of comedy drama Ablutions in April, after a successful run at Soho Theatre. Bertrand Lesca and Fiona Mikel are Co-Artistic Directors of the company, and have Ghost Opera a new production coming to The Lowry Theatre in October, which is an exciting progression from their other works in terms of musicality. The plays of Noël Coward contain timeless humour and are a brilliant way for Proud Haddock Productions to showcase their comic pedigree later this August at Old Red Lion Theatre. With a philosophy to bring great english playwrights work to the stage, A Naughty Night With Noël Coward is definitely doing just that, containing two one act plays that Coward wrote about the often farcical nature of marital life. Bringing the flaptastic Thoroughly Modern Millie to The Landor Theatre later this summer, this company want to give audiences great entertainment they deserve. 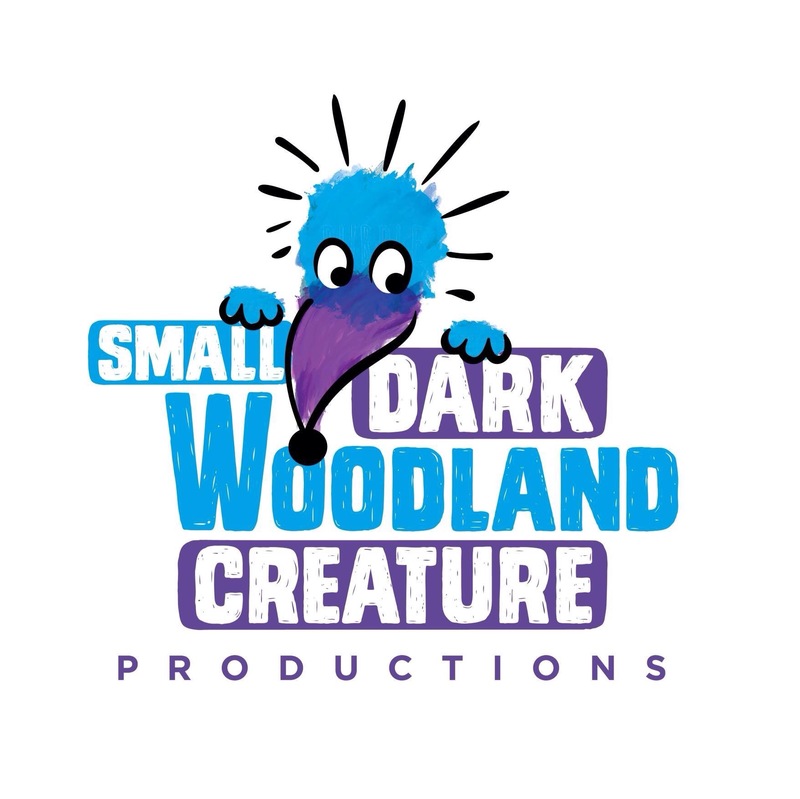 This musical is a show suitable for all ages, and this inspired choice shows just how SDWC are innovators in theatre as well as being in tune with the public consciousness. A Naughty Night With Noël Coward? Oh Go On Then. A Naughty Night with Noël Coward looks at the scandalous side of high society with two hilarious one-act plays by Noël Coward: We Were Dancing and The Better Half. Coward’s wicked wit comes alive in this naughty night of extramarital affairs. Presented by Proud Haddock Productions and performed at Old Red Lion Theatre for a limited run this August, it promises to be a delicious slice of what Coward so exquisitley offers his audience. We Were Dancing chronicles Louise, a married woman, and Karl as they fall passionately in love at a country club in the South Pacific. They quickly make plans to travel to Australia together but realise shortly afterwards that they have absolutely nothing in common (awkward). You could describe the couple as being struck by lust more than love. It was written in 1935 as part of the Tonight at 8:30 cycle of one-act plays. The Better Half (1921) looks at Alice and David who are barely existing in an unhappy marriage, when David is on the brink of having an affair. What David doesn’t realise, is that his wife is trying to encourage the affair because she feels desperately sorry for him. This play was never actually published and was eventually discovered in 2007, 34 years after Coward’s death so could be described as a hidden gem! The cast comprise mostly of recent graduates who have rapidly gained experience, working in acclaimed productions at Fringe theatres across London. These actors are Beth Eyre, Stephen Fawkes, Lianne Harvey, James Lorcan, John MacCormick, Tracey Pickup, Tom Self and James Sindall. Through the use of costume, set, props and performances we aim to give the audience not just a Noël Coward performance but a Noël Coward ‘back in time’ experience. Thoroughly Modern Millie Will Be Making Her Grand Return! The Landor Theatre will be hosting the new production of Thoroughly Modern Millie this summer, presented by SDWC Productions. It will be the show’s triumphant return to London 12 years after it was first performed at the Shaftesbury Theatre. 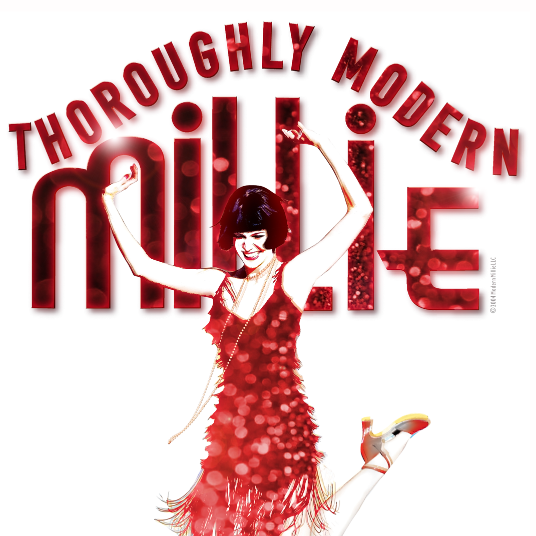 Originally presented on Broadway in 2002, Thoroughly Modern Millie won six Tony Awards (including Best New Musical) as well as numerous other awards and the West End production accumulated three Olivier Award nominations. Based on the ever popular movie, Thoroughly Modern Millie is a show filled with flappers and madcap antics, including the charismatic Mrs Meers. It tells the story of young Millie Dillmount, who has just moved to the city in search of a new life. It’s a New York full of mystery and jazz, a revolutionary time, when women were entering the workplace and the rules of love and social behaviour were changing in favour of women. I am thrilled to have the chance to reimagine one of my favourite musicals at the Landor, a powerhouse of fringe musical theatre. We’ve assembled a dynamic, vibrant cast and team to bring this fresh, quirky and joyous new interpretation of the show to London this summer and I can’t wait to get started. It would be an accurate statement that Broadway would be an entirely different musical landscape, had it not been for the many Jewish composers and lyricists. 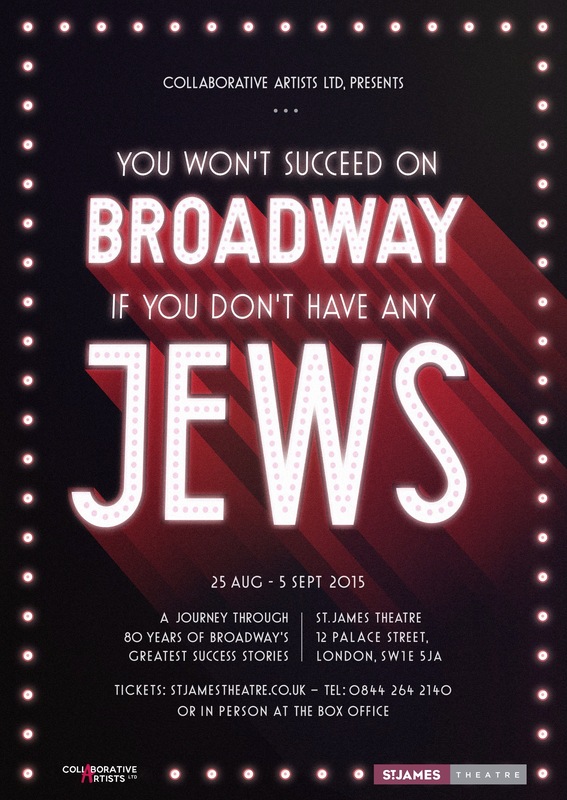 You Won’t Succeed on Broadway If You Don’t Have Any Jews is a celebration of over 80 years of Jewish contribution to musical theatre. Fresh from peformances in Tel Aviv, this show will be entertaining audiences at St. James Theatre, with the interesting and unique success stories of Broadway’s most famous composers ranging from the 1930’s to present day. The most successful compositions from every decade will be performed by seasoned West End performers, a dancers’ ensemble and on-stage band. From the early sounds of George and Ira Gershwin and Irving Berlin through to showstoppers from contemporary musicals such as Rent, Hairspray and Parade, this is a production that will appeal to a wide spectrum of audience. The London run features an all-star cast including Lloyd Daniels (Joseph and the Amazing Technicolor Dreamcoat), Sarah Earnshaw (Spamalot) and Sophie Evans (The Wizard of Oz) to name but a few! We are thrilled to introduce our phenomenal cast of seasoned West End actors, who all share a passion for musical theatre and the groundbreaking works of these sensational composers. We, at Collaborative Artists, feel it is imperative to display the show’s message to audiences all over the world and believe that theatre should go far beyond entertainment! Bringing the show back to the West End means the world to us and we can’t wait to dazzle the St James with a splash of Broadway. In one of London’s oldest churches dating back to the 12th century, convention was obliterated and innovation rode supreme through this historic building. This was St Bartholomew The Great, West Smithfield hosting it’s resident Theatre Company Scena Mundi in a performance of Christopher Marlowe’s Edward II, in a run that alternates with William Shakespeare’s play Richard II. 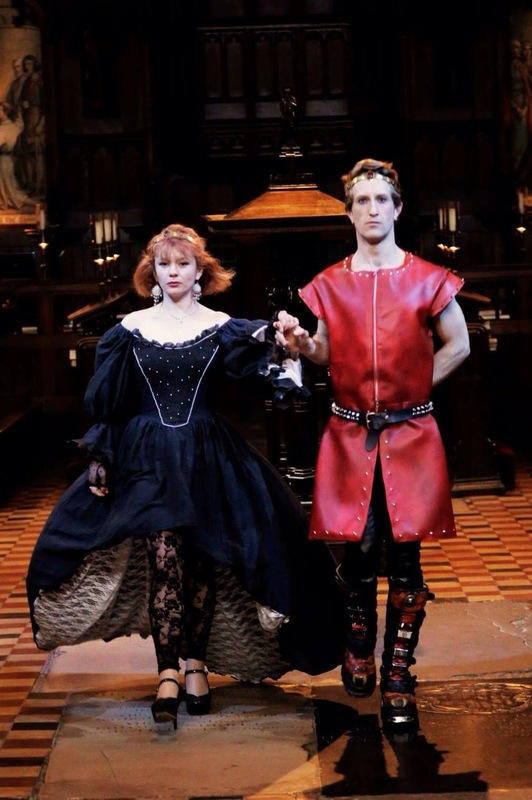 From the moment the play began, with an authoritative strutting from it’s cast to a 1980’s synthesised track wearing new romantic genre clothing , it was clear they meant business. Director and Founder Cecilia Dorland created a perfect moment, to introduce what was to unfold in Marlowe’s masterpiece. Edward Fisher is wonderfully self absorbed and head strong as Edward II, with a weakness for Lord Gaveston (Pip Brignall) the sumptuous, not to mention flamboyant figure, who causes quite a stir amongst society. Brignall has a magnetic effect on Edward not to mention the audience, his movements along the vast stage aisle made with ease and great presence. “Curse me, depose me!” laments Edward at the prospect of losing his beloved Gaveston. Manipulative but scorned Queen Isabella was dressed in a dark lace, that fittingly matched her decent in to despair followed by revenge. Ava Amande’s performance of Isabella certainly showed the effect her husband’s love affair with Gaveston had on her life, by a performance rich with drama but also a vulnerability too, that helped her not border on a charicature. The court of Edward II was brilliantly cast with each actor bringing a distinctive personality to the differing key players all struggling for power. Martin Prest as Lord Mortimer was wickedly wonderful as the dastardly lover of Queen Isabella, transitioning throughout the play from ambitious, then to downright cut-throat. The adrogynous Edmund Earl of Kent ( Anna Buckland) shone brightly in the disdain for Mortimer, that proved very powerful. Buckland defintely gave an outstanding performance in the role of Edmund, with conviction in every line and every swipe of her sword, that was mesmerizing to behold. Josh Pugh as Prince Edward was only introduced in Act Two, but made a substantial impact with a big presence that contrasted with the pitiful downward spiral of his father the king, that was so explicitly portrayed by Fisher. A dawn of a new era was beginning, and a naïve and seemingly honourable young man was ascending the throne after the turbulent years of his fathers reign. This however was not overly romanticised in the production, which was an interesting touch. Scena Mundi are without doubt an asset to British theatre. Artistic Director Cecilia Dorland has created with Edward II an unique experience, fusing the 14th century king together with a new romantic excess and glamour, that locks in all the conspiring of the king’s court impeccably. The cast are a powerhouse, together they work in harmony, with great understanding and acknowledgment of the historic building they are performing within. Edward II will certainly linger in your conscience long after leaving St Bartholomew The Great. There is no better way to celebrate your 85th Birthday than a fundraising gala concert, with some of your dearest old ( and new) theatrical friends performing. Legendary Composer Stephen Sondheim will be doing just that at Theatre Royal, Dury Lane on Sunday 25th October 2015. This Gala promises to be something rather spectacular, to mark a great milestone in the life of a truly remarkable man. This year, Stephen Sondheim turned 85, and some of his old friends here in London – and I’m sure a few young ones – feel that we’d like to do something to celebrate. But we need your help to make it happen. Hey, Old Friends! is seeking to secure funds for the event through Kickstarter. If successful it will be the most raised for a one-off event through this avenue. For this amazing concert to happen, we’re asking Sondheim fans, and supporters of quality musical theatre in general, to book their tickets now as they would for any other concert. The only difference is that we’re offering the tickets through Kickstarter in order to guarantee bookings, and funding, up front. Richard Douglas Productions are renowned for staging absolutely spectacular galas, and I know that they’ll deliver a night to remember. We’ve got less than one month to raise the funds this way, so book your tickets now, and even if you can’t make it on the night, please pledge us whatever support you can. The gala is supported by The Stephen Sondheim Society and produced by Richard Douglas Productions, the team behind many of the large-scale charity galas staged in London, including Children Will Listen at the Theatre Royal Drury Lane, Barbara Cook & Friends at the Coliseum, Follies in Concert at the Palladium and 30th Anniversary Side by Side by Sondheim at the Novello Theatre. Jonathan Holloway’s visionary adaption of Robert Louis Stevenson’s Jekyll & Hyde revitalizes this dark tale of terror and suspense as a genuinely terrifying thriller for our time. Following successful productions in London and Edinburgh in 2013, acclaimed director and playwright Holloway now creates his own ambitious staging in association with Hong Kong’s international touring outfit, Chung Ying Theatre Company. Dr Jekyll is here cast as a compelling and hazardous female scientist, who comes to England from the Balkans. Cruelly tormented by unspeakable horrors in her past (resonances of Balkan conflicts and ethnic cleansing), she conducts bizarre scientific experiments as she seeks safety by becoming a man. Using her own body as her laboratory experiment , physical self-harming mirrors the psychological trauma she has endured. This Jekyll tears out the heart of the issues it explores – gender, power, identity, self, freedom and individuality. Jekyll & Hyde is a visual feast that merges Weimer cabaret with a creepily melodramatic aesthetic accompanied by a stunning live audio score and sound that builds up an atmosphere of claustrophobic terror. This production of Jekyll & Hyde is a rebirth of Red Shift’s much-loved signature style. A favourite with audiences, venues and critics for nearly thirty years, it has been lost to London since 2008. Now Red Shift returns in a genuinely unsettling re-imagining of a popular classic created in association with Hong Kong’s Chung Ying Theatre Company. 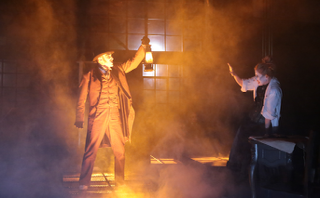 Holloway’s Jekyll & Hyde opened in Hong Kong in April 2015. Ching Yung has recruited Jonathan Holloway to realise ambitious international touring productions in spring and summer of 2015 and 2016, supported by UK designer Neil Irish and composer Jon Nicholls. There is not a more fitting way to mark the 30th anniversary of William H. Hoffman’s play As Is, than to be transferring to Trafalgar Studios 2 this summer. With a run from 1st July-1st August 2015, what is being described as The First AIDS Play was a sell-out success at The Finborough Theatre in 2013. When I first directed As Is there were three reasons why I wanted to mount a production of this extraordinary play. Firstly, because it is an authentic immediate response to the HIV/AIDS crisis. Secondly, to honour all of those who were lost to AIDS during those impossible times and, lastly, because if as a result of seeing As Is even one person was inspired to get tested for HIV and discovered they were positive then they could receive the vital treatment they needed. I had never dreamed that person would be me (as I spoke about for the MAD Trust at last year’s West End Eurovision). Since my diagnosis as HIV+ it has become my life’s work using the arts to educate and inspire those who may be too frightened to learn the facts and history about HIV and AIDS. Set in 1985, New Yorker Rich (Steven Webb), a young writer who is beginning to find success, is breaking up with his longtime partner, Saul (David Poynor), a professional photographer. However, Rich’s bliss with his new lover is short-lived when he learns that he has contracted the frightening new disease AIDS and he returns to Saul for sanctuary as he awaits its slow and awful progression. The interaction between Rich and his friends and family, as well as medical staff, is also a key thread to this production. 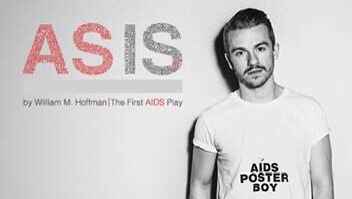 Although the premise of As Is is poignant, this play is a blend of humour as well as reflection on HIV, which has reached an all time record high number of Gay and Bisexual men being diagnosed with it in 2011 in the UK. This statistic is a reminder of the relevance of As Is in today’s society, and that awareness of HIV and AIDS needs to have the sense of urgency that it did in the 1980’s. There is no denying the recent success of the spring season at Battersea’s Theatre503. With previous productions that included Wink and Sense of an Ending receiving much critical acclaim, the Autumn season is highly anticipated. Jon Brittain writer of Margaret Thatcher: Queen of Soho will return to Theatre503, as well as a host of new emerging writers. I’m proud that despite a cold in-house producing climate on the fringe, 503 is still so firmly committed to getting work on stage. All in all the season aims to celebrate our dedication to growing talent in-house and exploiting our development models to produce work which has the 503 kite mark. And Then Come the Nightjars charts one farm’s struggle to survive the march of history. Fierce with rage and achingly tender in turn, the play is a story of enduring friendship and a requiem for rural England. And Then Come the Nightjars marks Theatre503’s first co-production with Bristol Old Vic. Valhalla explores the boundaries of scientific research and tests the endurance of human love. A scientific researcher and his wife on the brink of a transformational discovery escape to an isolated Nordic research facility. Cracks begin to appear in their marriage and they are forced to choose between conflicting allegiances while coming to terms with her traumatic past. Rotterdam by Jon Brittain is a bittersweet comedy about gender, sexuality and being a long way from home. It’s New Year in Rotterdam, and Alice has finally plucked up the courage to email her parents to tell them she’s gay. But before she can hit send, her girlfriend reveals that she wants to become a man. Returning after overwhelming popular demand Sleeping Trees mark the end of the season with a festive treat for those who like their Christmas pantos with a twist. They have fashioned the props, hired the costumes, booked the venue and rigged the lights; the stage is set. But on arriving at the theatre they realise they have forgotten one vital component: a cast. Theatre503 are delighted to announce that Sleeping Trees are now an associate company at Theatre503. 2014 saw Theatre503’s inaugural Playwriting Award which delivered an unprecedented opportunity for playwrights at all levels of their career. Over 1600 applications were received and two winners were selected for the much renowned prize. Their plays will now be staged at Theatre503 – And Then Come the Nightjars by Bea Roberts, directed by Theatre503’s Artistic Director Paul Robinson, and Valhalla by Paul Murphy, directed by the much acclaimed Jo McInnes (RSC, Royal Court, National Theatre).